The Bowie #2 Mine, operated by Bowie Resource Partners near the Western Slope town of Paonia, Colorado, announced this week that it would be laying off 78 employees and 19 contractors, representing more than half of the mine’s workforce. This is a crippling blow to the town of Paonia, which has 1,451 residents according to the 2010 Census, a layoff of this magnitude is going to have ripple effects well beyond the individuals who were let go. 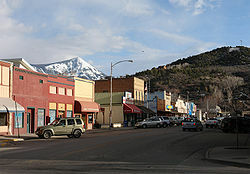 We doubt that the economic impact to Paonia, or any other middle class industrial town, is of much concern to WildEarth Guardians, Obama’s Environmental Protection Agency, or a host of other left wing organizations dedicated to expensive and unreliable “clean” energy. Energy industry jobs are by far the most lucrative positions available on the Western Slope, and headcount reductions like these hit hard, as dislocated employees have difficulty replacing the income that they earned in the industry, and may also be tied down by owning a home that will be difficult to sell with fewer workers in the area. Conditions like these drastically restrict labor mobility, leaving skilled workers who desperately want to take on a new role somewhere else unable to do so, or forced with the real possibility of a foreclosure or even bankruptcy. The demise of coal power in the United States is also going to lead to more expensive energy, as production is shifted to far more costly sources, such as solar and wind. Last year, coal was by far the most widely used input for U.S. power generation, as it is an abundant, reliable, and inexpensive baseload power source. Of course, these price increases are not just seen in household utility bills, but in almost every consumer product, as just about everything requires energy to produce. Still waiting for word from Senator Bennet on how he thinks his friends in the White House are handling this. Colorado voters need to know. Try to acknowldge that and you will be able to cope.